Led by Mia Scharphie, front runner of Harvard Business School study on women in social impact design and founder of Build Yourself Workshop and Creative Agency, this hands-on workshop provides tools for positively impacting AEC workplace inclusivity. Intentions matter, but so do actions, and despite our best intentions, unconscious racial and gender bias can pervade our day-to-day work and create inequitable outcomes—whether in the hiring and promotion processes, or in project work. 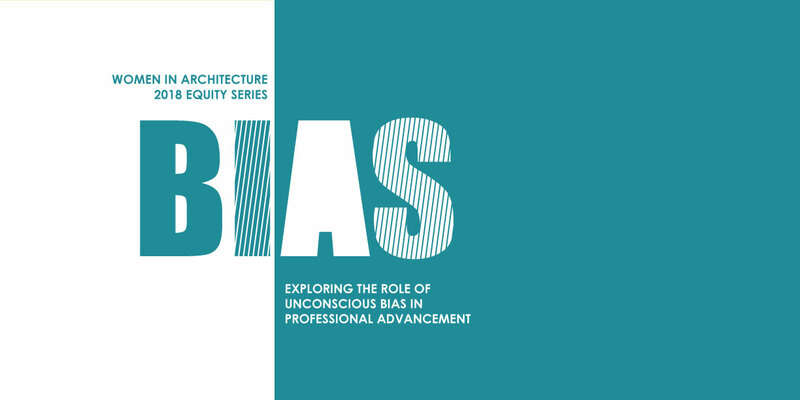 In this hands-on session you’ll learn how to identify unconscious bias and how it might be affecting your design work and workplace, as well as practical strategies that you can use to address it. Through an interactive workshop, you’ll apply a design thinking process to your work to develop ways that you and your team can be proactive forces for greater equity. Registration is required and space is limited. Registration for BIAS Panel Discussion does not provide registration to BIAS Workshop. This informative series is for all! The panel discussion is open to the public, while the workshop targets anyone in the AEC community ready to be an agent for change in their workplace. Please spread the word about the event in your office, professional circle and community so we can make this event a success!